Complementing the original Ninja ZX-10R and the track-focused Ninja ZX-10RR, Kawasaki proudly introduces a new high-grade edition to its litre-class supersport line-up for 2018. 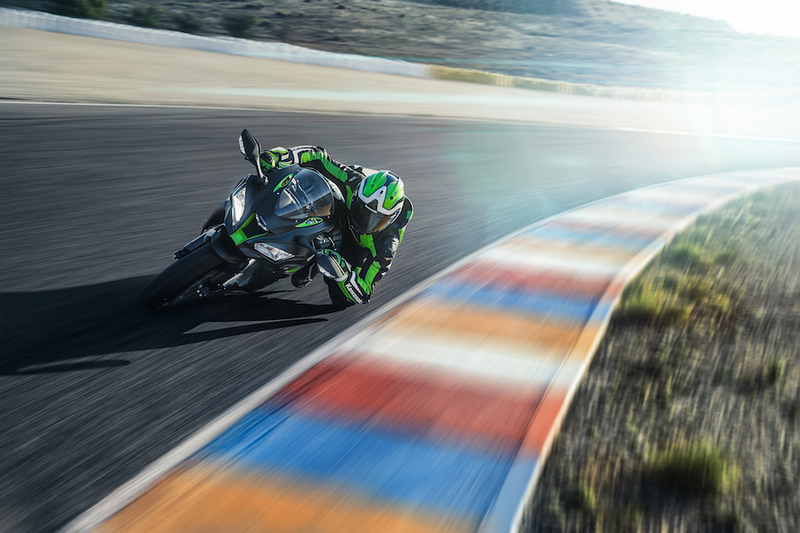 The Ninja ZX-10R SE features Kawasaki’s new, highly advanced electronic suspension. On the street and on the track, the suspension’s damping character offers a superb level of ride control, while outstanding responsiveness delivers a planted feel. All of this translates to confidence and ease of riding offered by the Ninja ZX-10R SE. • Track refined 998cc In-Line Four engine. • KECS (Kawasaki Electronic Control Suspension) – high-spec Balance Free Front Fork and BFRC lite (Balance Free Rear Cushion) rear shock. Jointly developed with Showa, KECS offers both the suppleness to handle a wide range of street riding situations and the firm damping needed for circuit riding. • Forged aluminium Marchesini wheels contribute to lighter handling – especially when changing direction. • Kawasaki Quick Shift system for clutchless up-shifts and downshifts. • Special Edition (SE) livery includes 3D Ninja logos, technical graphics and Kawasaki lime green highlights in just the right places for a high quality appearance. Availability: Available now via Kawasaki dealerships.